“Homosexuality is not prohibited [in Turkey] in terms of art, but I can say that it is an issue which is treated as if it didn’t exist at all. It is an issue which is accepted by not seeing it, not talking about it, erasing it from daily life and marginalizing it. But when it comes to “hijab”, it is not something that could become an issue dragged up by literary genres; not just painting. It occurs to me that the major problem is that we live in an era in which desire and the mind are modernized rather than form and style. That the desire is modernized is valuable for art. Is the desire and the stages of it just an entity of the West? Doesn’t desire exist in the East? When it comes to the East, isn’t desire the desire itself? I say so as the desire in the East is described exotically in an oriental way”. 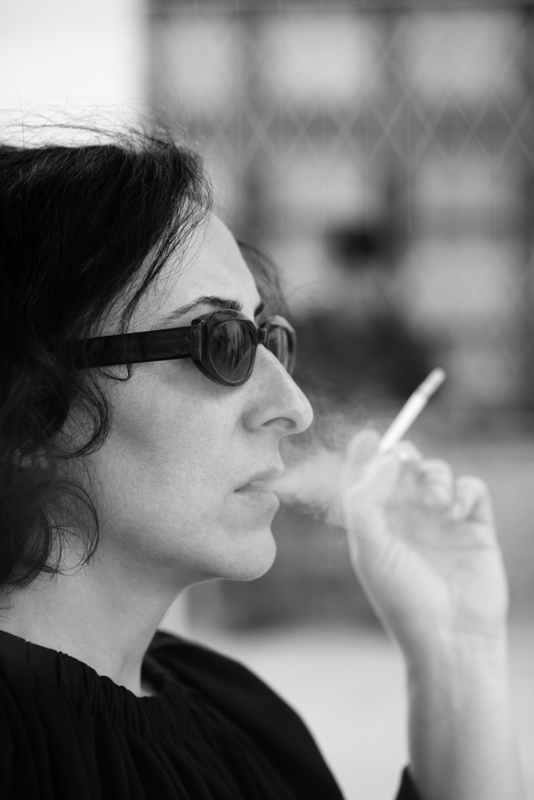 Necla Rüzgar has exhibited her works in various cities including İstanbul, Athens, Berlin, Zürich, Alexandria and Seoul. Her works were recently represented at the Akademi der Künste in Berlin and the National Museum of Contemporary Art in Bucharest. In 2014, her exhibition “Fauna” was hosted by the Nev Gallery. She teaches as an Associate Professor at Hacettepe University’s Faculty of Fine Arts, Department of Painting. If Necla lives, as we all do, in a world where inequality, brutality and injustice tend to become the accepted norm, her brush can always demonstrate how wrong we are.